of children in Tower Hamlets are living in poverty – the highest rate in London. affordable homes were built in Tower Hamlets in the last 3 years, 29% of all new housing and the highest number of affordable homes built by a London council. of the working age people in Tower Hamlets are unemployed. Tower Hamlets is an Eastern inner London borough, which struggles with issues relating to poverty and inequality. Tower Hamlets has the highest worklessness rate in London, at 7.7%, and the highest rate of poverty as well – 39%. 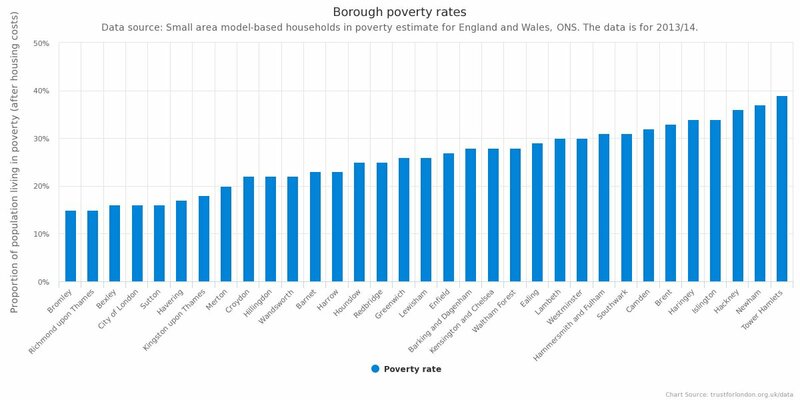 Child poverty is higher here than in any other borough as well, and rates of infant mortality and premature mortality are also significantly above the London average. On the positive side, Tower Hamlets has built more social housing than any other borough except Greenwich – there was a net increase of 1,147 affordable homes in the three years leading up to 2015/2016. They have also built over 6,000 homes in total during this time – by far the most in London. The rankings below show how Tower Hamlets is performing on key poverty and inequality indicators, in comparison with all 32 London boroughs. 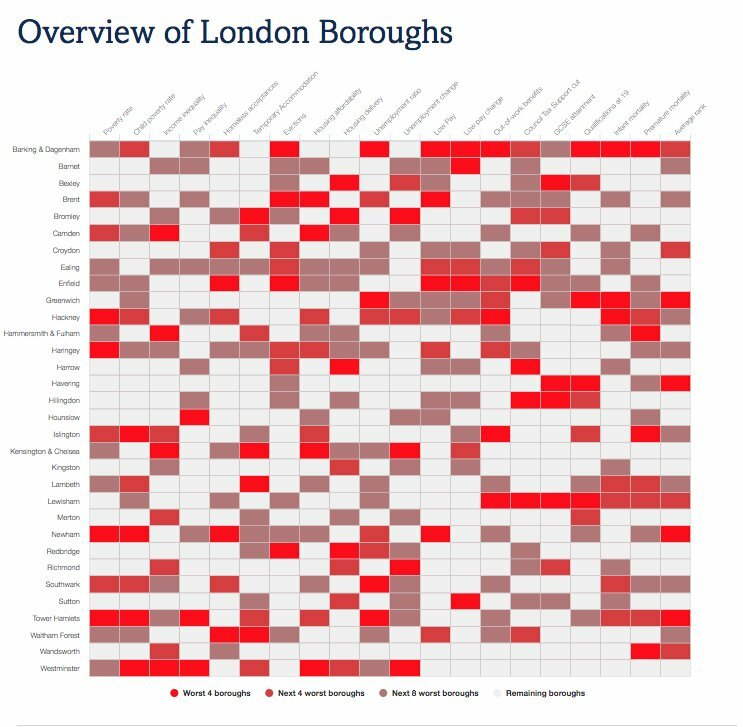 The first section gives a snapshot from the latest data: the deeper the red, the worse the problem; those coloured green are in the top half of London boroughs. The circles show whether the issue is getting better or worse on comparative years. Where there is no change, the circle is orange. Where there is no comparative data, the circle is grey. Council Tax Support cut ? Use our interactive map to view all funded projects since 2012.